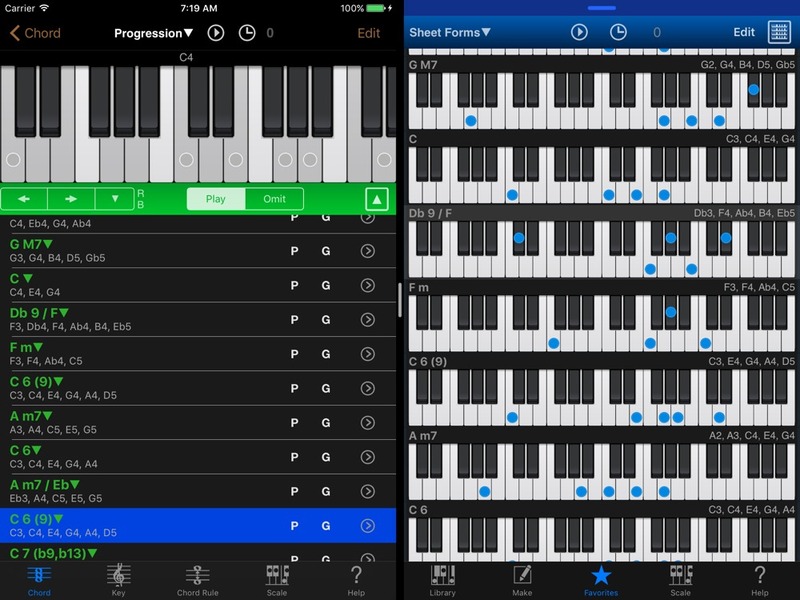 Chord NOTE 7.1 and Piano Kit 4.2 has released! 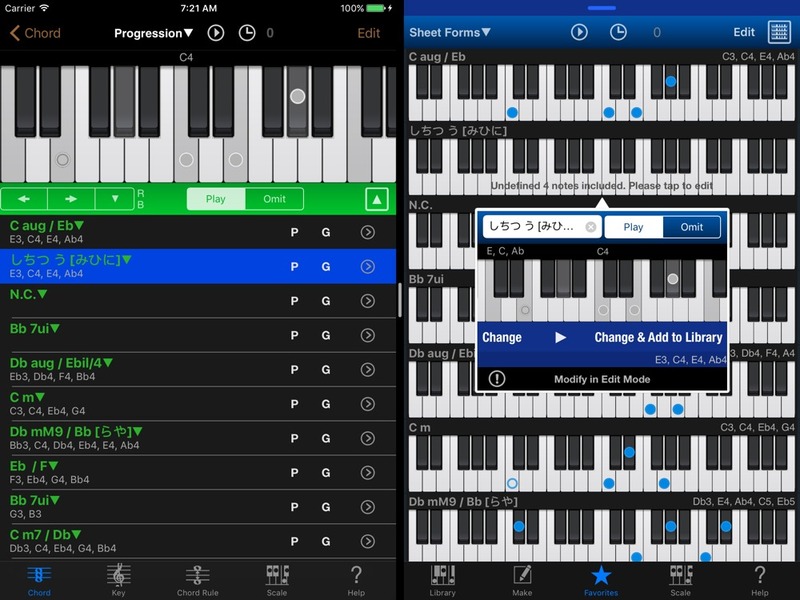 Chord NOTE 7.1 and Piano Kit 4.2 has released! This versions include improvement of stability and more. It is available on iPhone and iPad. Let’s download now! 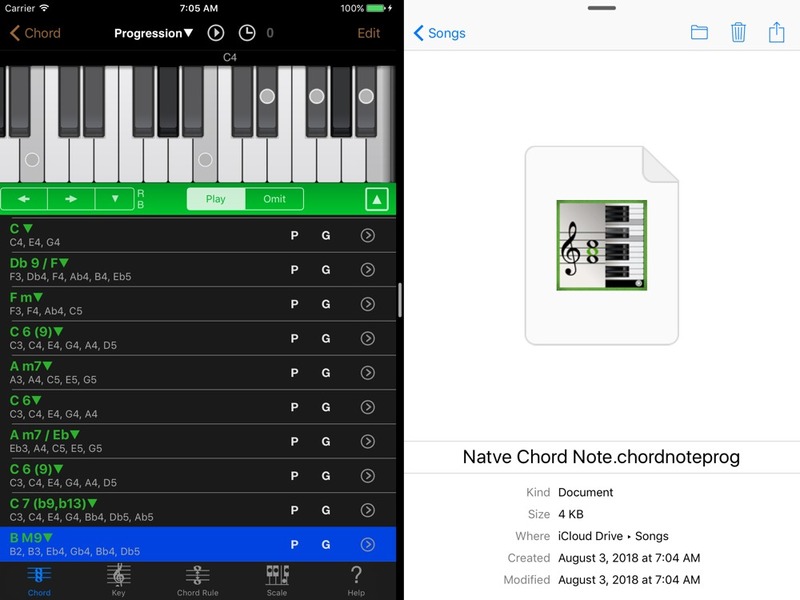 Upper sample screenshots are Chord NOTE and Piano Kit native file Export images. By the way, Guitar Kit 7 will be released in a few weeks. Following screenshots are sample images. These are available from previous versions. Importing SMF function supports SMF made by Chord NOTE, Piano Kit and Guitar Kit. This sample image is directly export SMF by Chord NOTE to Piano Kit. Piano Kit import according to chord form library. 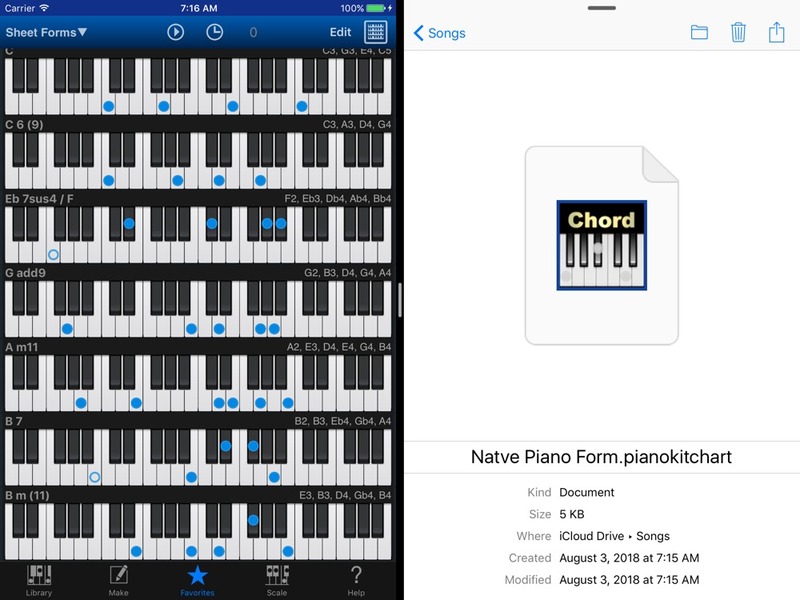 So you can edit undefined chords by Direct Menu and Name Menu. Direct Menu (non Edit Mode in Sheet View). Name Menu (Edit Mode in Sheet View). 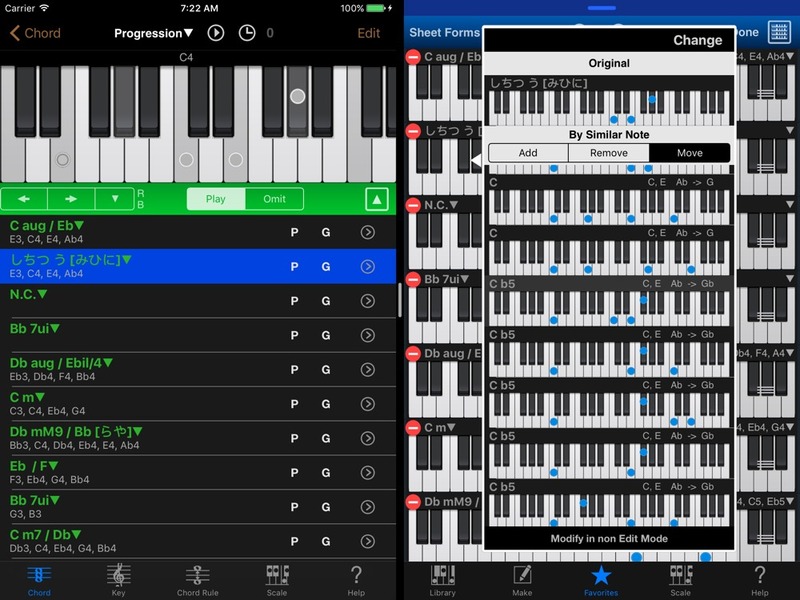 Moreover, Chord NOTE don’t change importing notes when Chord NOTE import SMF made by Piano Kit or Guitar Kit.